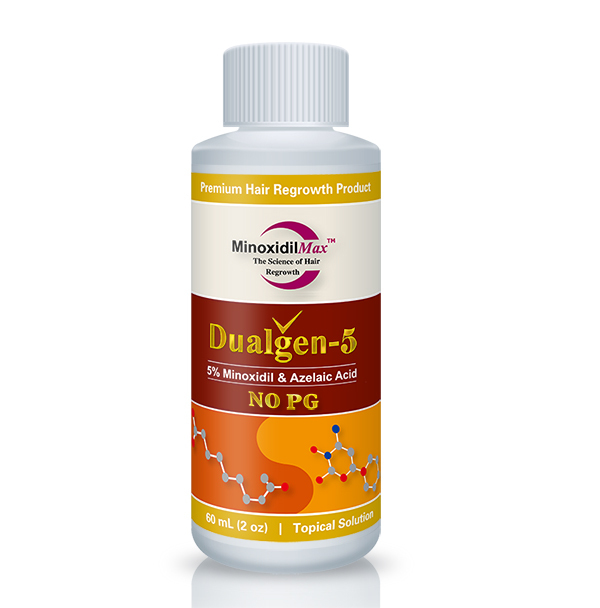 Visit this page if you are interested in 15% minoxidil. This is for men only product. Women should never use this product. People with any heart disease, or low or high blood pressure should not use this product. For general warnings, please read minoxidil side effects. The only thing I regret about it is not having started it before. The Dualgen 5 No PG has worked out great for me so far! I used 5% Rogaine for years, which irritated and inflamed my scalp to no end. The No PG has been a savior! My scalp has zero irritation, redness, or inflammation! 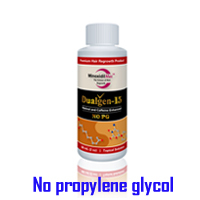 I used this product in the morning and Dualgen-15 NO PG plus in the morning. I have also noticed a definite re-growth of hair since switching to this product from the 5% Rogaine. Enjoy!